Could you use extra money? Let’s face it. I think we all could. It can be hard to figure out a way to earn money from home when you are stressed and worrying about your budget. Your mind is usually elsewhere and you may not be thinking clearly because you’re so stressed. If you live a natural lifestyle, making extra cash from your natural lifestyle is actually right at your fingertips and you may be totally overlooking it! When you’re making things yourself and you’re growing things yourself, you may actually have a quite substantial second income right at your fingertips. First let’s be clear who this post is for. If you use essential oils, you’ll find ways to earn. If you make homemade beauty products or DIY household products, you can earn from these ways. 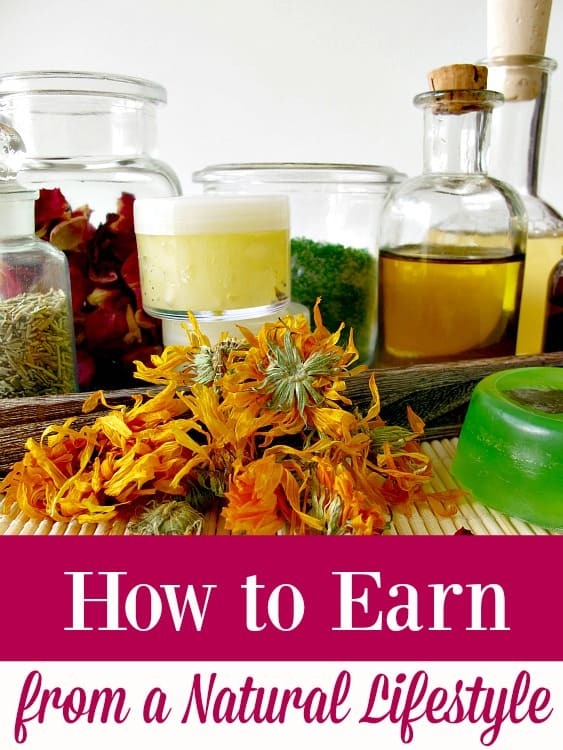 If you’re into herbal teas and herbal supplements, you can find ways to earn. If you garden, yup. You’re included too. Homestead? You are too. Basically, if you’ve even got the tiniest bit of “crunchy” in your life, you can probably find ways to earn. If not, but you still need to earn extra cash, you may want to take a look at how I earn $225 extra every month, how I get paid helping other people shop, Can You afford to be a Stay at Home Mom or these quick and easy side jobs to pay down debt. They work very well for anyone who needs to add extra income to their budget. 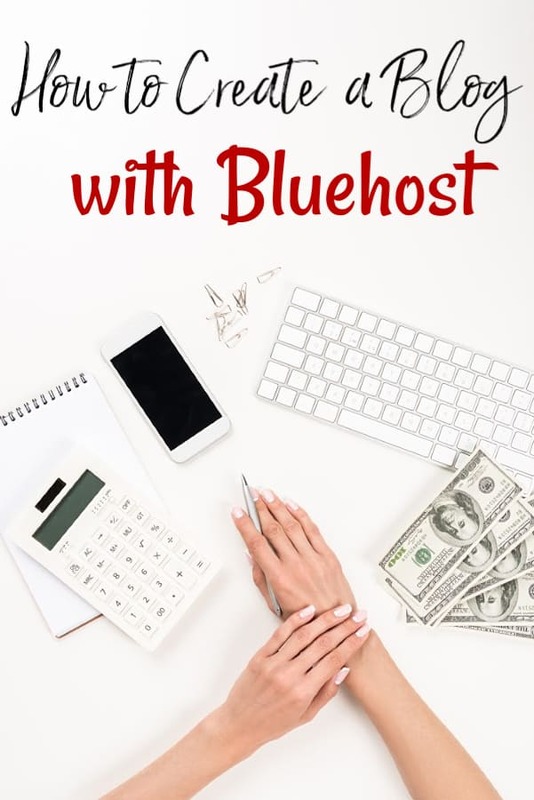 The thing to remember with these ways to earn from home is that they may take a bit of work. They also won’t always be cheap to get started which if you’re already living a more natural lifestyle, you probably already know that. If you don’t already have supplies on hand, you’ll need to buy them. Once you start making a profit though, it won’t be much of an issue because you’ll be earning more than you’re spending. Ask any business owner that you may know and they’ll tell you that to make money, you have to spend it…at least a little bit of it. If you have chickens, you can make money from them quite easily. Selling your extra eggs or even meat can be a way to help them pay for themselves. You can sell your eggs for as much as $4.00 per dozen depending on your area and meat from chickens can be quite a profitable seller too. Before you get started, be sure that you hop on Craigslist or your local Facebook groups to see what the going rate is. Price yours just below the best sellers and you’ll have no issues finding customers. Other livestock can be a money maker too. Bees can net honey and beeswax for sale, rabbits can be raised for meat or fur to sell and so on. If you use essential oils at home, you can make extra money by selling custom essential oil blends. You’ll need to get some essential oil roller bottles and essential oil spray bottles, but once you’ve got those in stock, it’s as simple as blending away! Just keep in mind that when you’re selling things that can help people’s health that you don’t want to make any assurances. Oils can help, not cure in other words. You’ll also want to be sure that your blends actually do work or help with what you’re selling them to do. Otherwise, you won’t have too many repeat customers. Oils are also great for making soaps and a handcrafted bar of soap can go for as much as $4.00 per bar if you have the right market. For soaps, look at making bars to help with things like allergies, acne and more to provide the best variety for your customers. Another way for those of us who make things homemade instead of buying them to earn is by making balms and creams and selling them. You could make diaper rash creams, shave cream and more! Sell each one for twice what you have in it (i.e. $1.25 in supplies would sell for $2.50) and you’ll make a nice, tidy profit from customers who don’t have time or don’t know how to do it themselves. Homemade beauty products are another item that sells very well. Things like homemade sugar scrubs, homemade bath bombs, and even lip scrubs can all be sold for a nice profit. Just be sure that any oils or other products you use in them are clearly listed on the label in case someone has an allergy. If you’re gardening, you can make money a couple of different ways. Obviously selling your excess garden crops is a great way to make some extra cash, but there are other ways too! If you have a water bath canner, you could make jams and jellies and sell them. If you have a good dehydrator, you could make dehydrated fruits and veggies and sell those! Both can go for a nice price at your local farmers market. For instance, I pay $3.00 for a pint of my favorite jam each month from my local farmers market. Why? Because it’s so good and the seller makes amazing jam (and because I don’t have time to can at the moment)! If you sew, you could earn extra money by sewing things like baby blankets, cloth pads and more. Those projects tend to go for a decent price on Facebook groups and Etsy. Price them competitively against other sellers and make sure your work is above average and you’ll earn enough to make it worth it. Craft projects don’t stop there though. You can also knit or crochet items to sell too if you’re skilled in those areas. Yarn isn’t too expensive so you’ll likely see a larger profit margin with those types of projects over ones that use fabric that is more expensive. Using reclaimed fabric is always an option to keep in mind though. Making money from home really isn’t as hard as a lot of people seem to think, but you do have to think outside of your normal box most of the time. If you’re living a natural life, you’re already half there. You may just need to look at your daily life in a different light. Once you’ve done that? It should be smooth sailing from there.